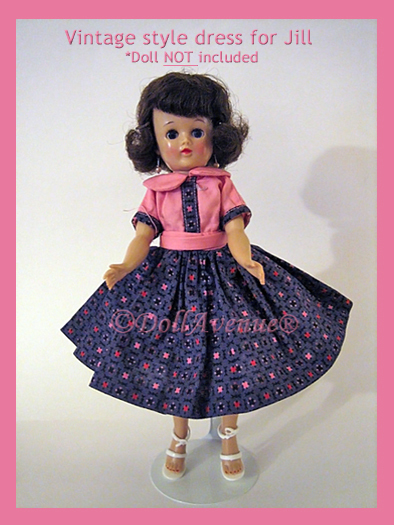 Pretty, vintage navy and pink cotton print dress for Jill or other similar size dolls. Closes in the back with two snaps. Dress only - doll and accessories not included.